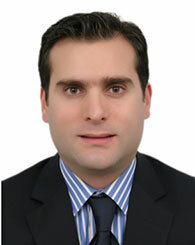 Khodr Fakih is an associate professor in Law at the Adnan Kassar School of Business. He received an LLB from the Lebanese University, an LLM in Business Law with honor and a Doctorate of Juridical Science (SJD) from Northwestern University. Offered numerous seminars and workshops including advanced lectures in alternative dispute resolutions (ADR), litigation, corporate law, family law, merger and acquisition law, international business transaction, privatization, human rights, business ethics. Conducted numerous civil rights seminars in Lebanon and abroad. Attended seminar/workshop about developing university curriculum about negotiation and mediation at the International Finance Corporation (World Bank Group Downtown) 18-12-2012. Offshore and Lebanese Limited liability companies. Providing legal works to many American pharmaceutical companies. Fakih, K. & Al Zahr, S. (2015). The Discrimination between National and Foreign Investors in the Lebanese Corporate Law, Journal of International Company and Commercial Law Review I.C.C.L.R, (3). Fakih, K., El Khalil, R. & Zeaiter, H. (2015). Economic Development and Sub-Regional Identities. Journal of Developing Areas, 49(1), 157-176. Fakih, K. (2015). The Lebanese Judicial System: An Overview of the Judiciary’s Roles to Safeguard National Security. Jurisprudence Journal. Fakih, K. (2014). The One-Member Company: A Comparative Study of the One-Member Company in France, Europe, the United States and Lebanon. Journal of International Company and Commercial Law Review I.C.C.L.R., 2014(6). Fakih, K. (2014). The Ombudsman: Different Terminologies Same Missions. World Academy of Science, Engineering and Technology. Fakih, K. (2013). Commercial Arbitration and other Alternative Dispute Resolution in the Middle East and in the West. Journal of American Academy of Business, Cambridge. Fakih, K. (2012). Advantages and Disadvantages of Commercial Alternative Dispute Resolution. Journal of American Academy of Business, Cambridge.